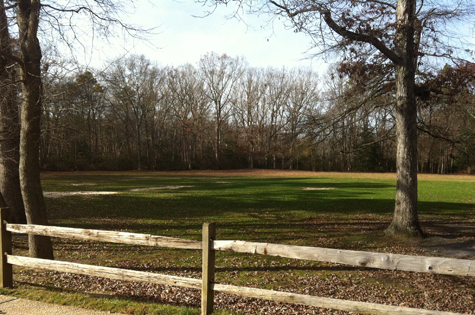 Fitness trail training is as bare bones as it gets. Regardless of the weather, being outdoors naturally motivates you and brings about an appreciation for training in the elements. There’s nothing like feeling the chill or hearing the sound of leaves crunching under your feet to motivate you and make you feel like a real athlete. Hitting the trails rather than the weights creates an ideal environment to step away from the hustle and bustle that happens in the gym and in life. Whether you’re a seasoned trail enthusiast or never paid much attention to them, here are some ways to diversify your training while you’re on the trails. Pack up your gear bag with water, trail mix and protein powder and prepare to hit these stations with some different workout variations. You’re all set to get the workout started, but how do you determine the cardio intensity that will set the tone for the entire session? Go too hard and you’ll be too exhausted to do any other workouts. Go too easy and you’re blowing through everything without breaking a sweat. Variation One: When exercise stations are far apart or you want to save most of your energy to perform them, you can’t burn out on cardio. Create a pace of jogging to one, walking to another, then sprinting. Gauge how you feel after reaching the first or second stations. Variation Two: For the athlete looking for a real challenge, put a time limit on your track around the course. Sprinting in between exercise stations will is great for a high intensity workout. Variation Three: Bringing the cardio aspect to another level would be to wear a weight backpack or weighted vest. Try huffing around the trail with an additional 20 lbs. pulling on you. One of the first stations you will approach is the push-up station. 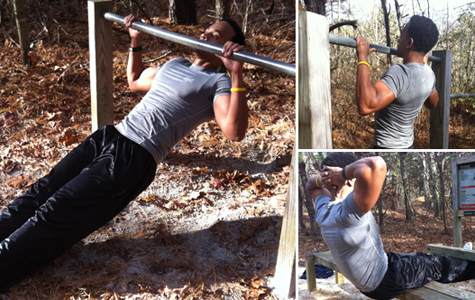 A great body weight exercise to get the blood flowing and develop the chest, shoulders and triceps. 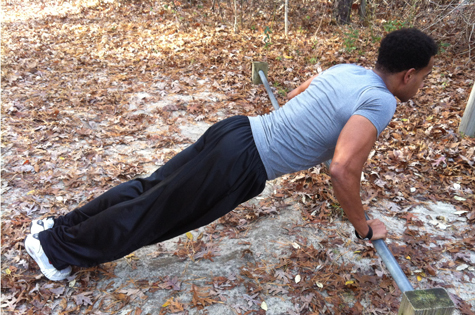 Variation One: Try performing three sets of traditional pushups going to complete failure. Hit the ground, place your arms shoulder-width apart, back straight and feet together. Perform as many reps as possible. Rest 30-45 seconds in between each set. Variation Two: To turn it up a notch, give the plyometric version of the push-up a shot. From the traditional push up position, as you explode upwards quickly remove your hands from the bar, clap them and return back to the start position. Try performing three sets of plyo pushups to complete failure. Rest for 60 seconds in between sets. 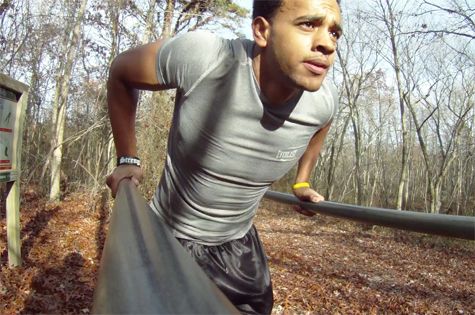 Variation Three: Single arm push-ups are the toughest of the challenges at this station. Begin from the traditional push-up position, place one hand to your side, behind your back or on your thigh. Perform as many reps as possible with one arm then switch to the other side. Rest for 60 seconds and perform one to two more sets. When it’s time to hit the pull-up bar, pump up your lats with these variations. Variation One: Pull-up bar hangs are a simple way to incorporate a solid stretch for the shoulders and lat muscles in the back. With an overhand grip, grab the bar with your hands at shoulder-width and let all of your weight fall. Remain in the hanging position as long as possible for three sets. Rest for 60 seconds in between sets. To slightly increase the challenge, perform small “partial reps” as you hang. 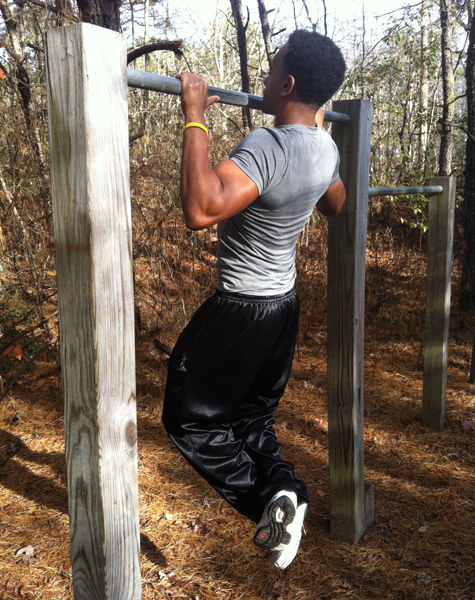 Variation Two: The wide grip pull-up will work wonders for adding width to the back and also engage the rear deltoid. Grab the bar extra wide with a traditional overhand grip, fully hang from the bar and complete as many pull ups as possible for a total of three sets. Rest for 60 seconds in between sets. Variation Three: The alternating arm pull-up is a great way to work each lat individually while making the exercise more interesting. From the traditional wide grip pull-up position, favor one side and pull yourself up so your chin finishes over the dominant hand. Slowly return to the beginning position and lift yourself to the other side. Perform as many reps as possible on each side for a total of three sets. Rest 60 seconds in between sets. Dips stations are another useful amenity of fitness trails that provide several options for hitting the chest, shoulders and triceps. Variation One: Place one hand on each bar and stand in between them. Raise your body up, cross your legs behind you and slowly lower and raise yourself up and down. If you lean forward during the motion you will concentrate on the chest, if you remain in an upright position, more emphasis will be placed on the triceps. Try performing three sets to complete failure with 60 seconds rest in between. Variation Two: Dip walking is a technique to go from one end of the bar to the next while holding your body weight up in the traditional dip position. Start at one end of the bar, push yourself up and “walk” with your hands to the other end of the bar. Try going back and forth as many times as possible. Perform three sets of dip walks with 60 seconds rest in between. Variation Three: Fire up your entire upper body and arms with dip hops. The hop is performed by using both hands at the same time to “hop” you along the bar. Try hopping back and forth as many times as possible. Perform three sets of dip hops with 60 seconds rest in between. When it’s time to get in core work, the leg raise station provides a number of options. Variation One: The full leg raise will hit the entire abdominal area. Start by laying down on the inclined bench, grab a hold of the bar or bench behind your head. Slowly raise your legs up all the way until they are perpendicular to the ground. Perform as many reps as possible for three sets. Rest 60 seconds in between sets. Variation Two: Leg raise twists will help engage the oblique muscles by slowly turning and rotation one leg across the other during the lift. Begin to turn your legs and midsection as soon as you start lifting your legs. After completing a full range of motion on one side, perform the twist to the other side. Perform as many reps as possible for three sets. Rest 60 seconds in between sets. Variation Three: Nothing will test and challenge the endurance of your core more than a static hold version of the leg raise. When in position for a traditional leg raise, hold the motion for as long as possible when you feel the most strain in your midsection. Prepare yourself for serious abdominal fatigue after these. 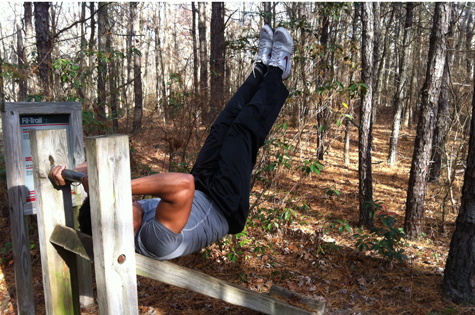 Perform three sets of static hold leg raises with 60 seconds rest in between.